There is a kid in all of us who craves for the delightful taste of chocolate milk which we remember from our childhood days! Now we have just the thing to satiate such desires! 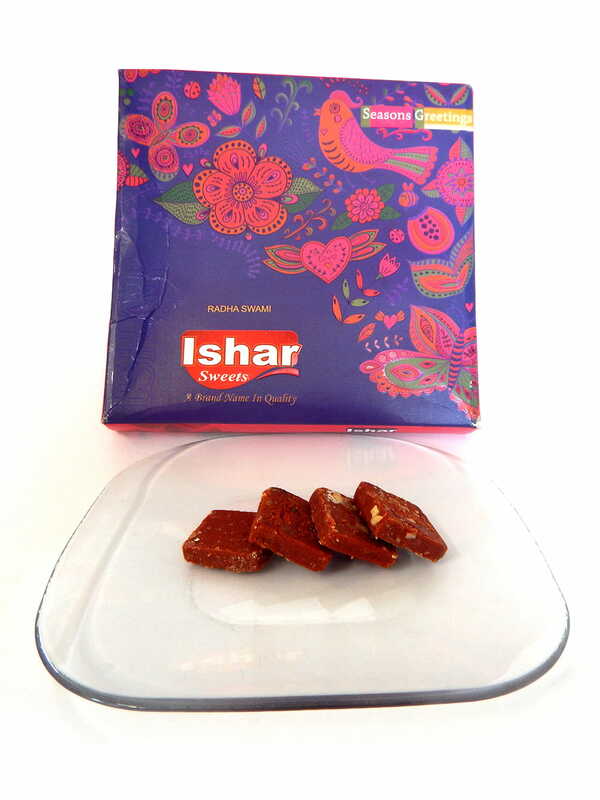 Bournvita Barfi is a sweet made using the amazing flavor of our favorite Bournvita! Ishar sweets, the makers of Bournvita Barfi are always striving to bring something new and interesting to us and with this particular sweet; they have indeed stuck a melodious as well as delicious chord! Even though it comes all the way from Kalka, situated at the feet of the mighty Himalyas, it is but a click away now! You can now buy it online from FoodFeasta.com and we will deliver it to your home without any extra delivery charge!